Nginx is a high-performance web server software. It is a much more flexible and lightweight program than Apache Web Server. It also works as a reverse proxy, standard mail, and TCP/UDP proxy server, and can additionally be configured as a load balancer. It is powering many sites on the web; well known for its high-performance, stability and feature-rich set. In This tutorial, I will explain to you how to install and start Nginx on your CentOS 7 server. Nginx Configuration file under /etc/nginx/nginx.conf. Nginx virtual hosts configurations file under /etc/nginx/conf.d. The default server document root directory (contains web files) in /usr/share/nginx/html. If you show this screen, that means you are successfully installed and configures Nginx. 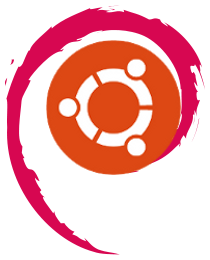 This is a simple and short article for show How to Change Hostname (Computer Name) in Ubuntu/Debian based distribution Linux OS. This command temporary set a hostname for your system until next reboot. 3. To change the hostname permanently, run below command to edit the host files /etc/hostname. In /etc/hostname file give new hostname what you want and save them. 4. Finally, restart your system to apply the changes. 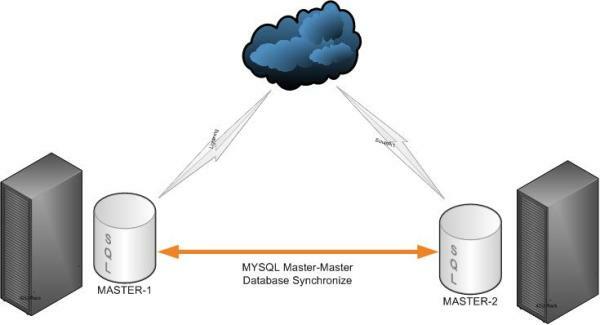 MySQL replication is the process of MySQL database live-copied to another MySQL server. master-master replication allows data to be copied from either server to the other one.This configuration adds redundancy and increases efficiency when dealing with accessing the data. In this example, I take two servers, named Server 1 and Server 2. and Ubuntu environment. Edit the /etc/mysql/mysql.conf.d/mysqld.cnf file on both servers. Now master-master replication configuration done. it's time to test. When queried, we should see the tables from Server 1 replicated on Server 2. Oracle JAVA 9 stable release version is available to download and install.This tutorial will show you step by step instructions to install Oracle Java 9 on Centos/RedHat 7 system. Download latest Java SE Development Kit 9 release using following commands. After extracting java file use alternatives command to install it. alternatives command is available in chkconfig package. Also insert above environment variables in /etc/environment file. Oracle JAVA 9 stable release version is available to download and install.This tutorial will show you step by step instructions to install Oracle Java 9 on Ubuntu/Debian system using PPA. For Install JAVA 9 we need to add the webupd8team Java 9 PPA in our system. Install Oracle JAVA 9 using the following commands. JAVA installation will create a configuration file /etc/profile.d/jdk.sh for the Java environment settings. The system will automatically load these settings on every reboot to set up Java environment. Here we show how to add a splash of color to Command Prompt and make it unique. 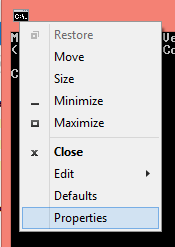 By default, Windows Command Prompt is white text on a black background. It gets the job done, but maybe you want to add some color to it. Click on the Command Prompt icon in the top left corner of the window and select Properties. Select the Colors tab, and then choose the color you want for the screen text and background. We can also change your Command Prompt font from the font tab. Nagios is a free Monitoring Tool, It’s Provides you Monitoring environment to always keep an eye on your all Networks/systems from anywhere. With Nagios, you can monitor your remote hosts and their services remotely in a single window. It shows warnings and indicates if something goes wrong on your servers which eventually helps us to detect some problems before they occur. It helps us to reduce downtime and business losses. Nagios Plugins are installed under /usr/local/nagios/libexec/. We need to install Apache, PHP and some libraries like wget, unzip, gcc, glibc, glibc-common and GD libraries and its development libraries before installing Nagios 4.3.4 with the source. Create a new nagios user and nagcmd group account and add both the nagios user and the apache user to the nagcmd group. 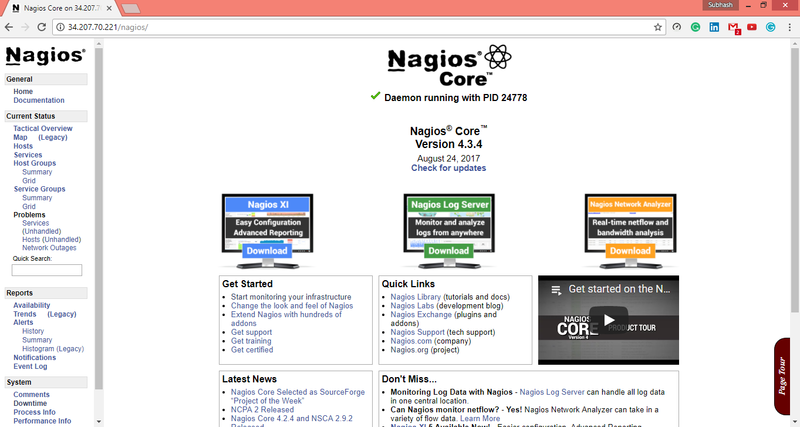 Create a directory for your Nagios installation. 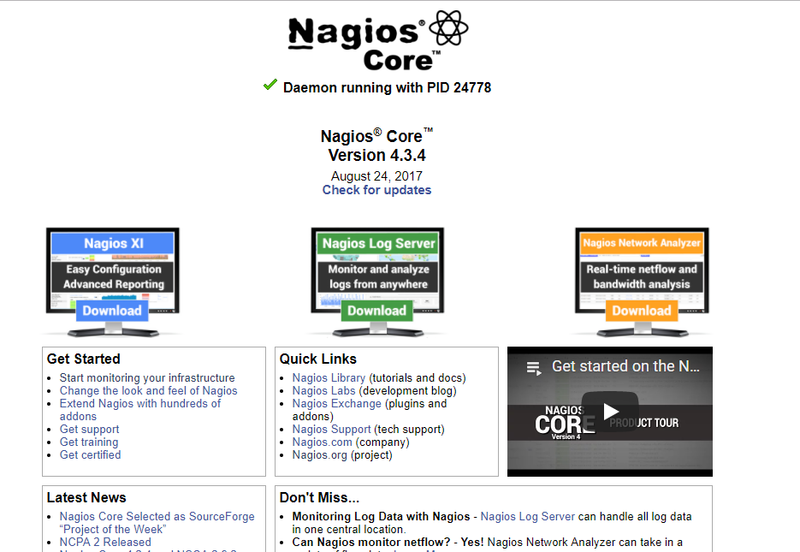 Download latest Nagios Core 4.3.4 and Nagios plugins 2.2.1 packages. Now we will configure Nagios Core. After configuring, we need to compile and install all the binaries with make all and make install command, it will install all the needed libraries on your machine. Install the init scripts, command-mode and sample nagios file for Nagios. Copy event handlers scripts under libexec directory. These binaries provide multiple events triggers for your Nagios web interface. Create nagios apache2 configuration file. using systemd for managing process can enable nagios with systemd using following commands. The below command will Configure Web interface for Nagios and a web admin user will be created "nagiosadmin" also set password for "nagiosadmin"
We have downloaded Nagios plugins in /root/nagios, Go there and configure and install it. Open a browser and hit "http://Server-IP-address/nagios" and Provide the username "nagiosadmin" and password. Firewalld uses runtime and permanent configuration options, which you can manage using firewall-cmd. In this tutorial, I will explain how to solve "firewall-cmd: command not found" error on RHEL/CentOS 7. Now, start firewalld service and enable it to auto-start at system reboot. Firewall rule settings are managed by firewalld service daemon. A command-line client called firewall-cmd can talk to this daemon to update firewall rules permanently. For Example, To open a port TCP/443 permanently, use following commands. For example, the following commands will add or remove SSH services. For example, the following commands will add or remove FTP services. RHEL 7/CentOS 7 introduced firewalld as a replacement for the previous iptables service. Firewalld provides a dynamically managed firewall with support for network/firewall zones to define the trust level of network connections or interfaces. It has support for IPv4, IPv6 firewall settings.The firewall model with iptables was static and every change required a complete firewall restart. In this tutorial, we learn how to enable/disable a port in the firewall. For Example, To open a port TCP/80 permanently, use following commands. Don't forget --permanent flag, Without --permanent flag, the firewall rule will not work after reboots. For Example, To close a port TCP/80 permanently, use following commands. Here also Don't forget --permanent flag, Without --permanent flag, the firewall rule will not work after reboots.